Scooper - Technology News: Is Europe heading for a clash of generations? Is Europe heading for a clash of generations? 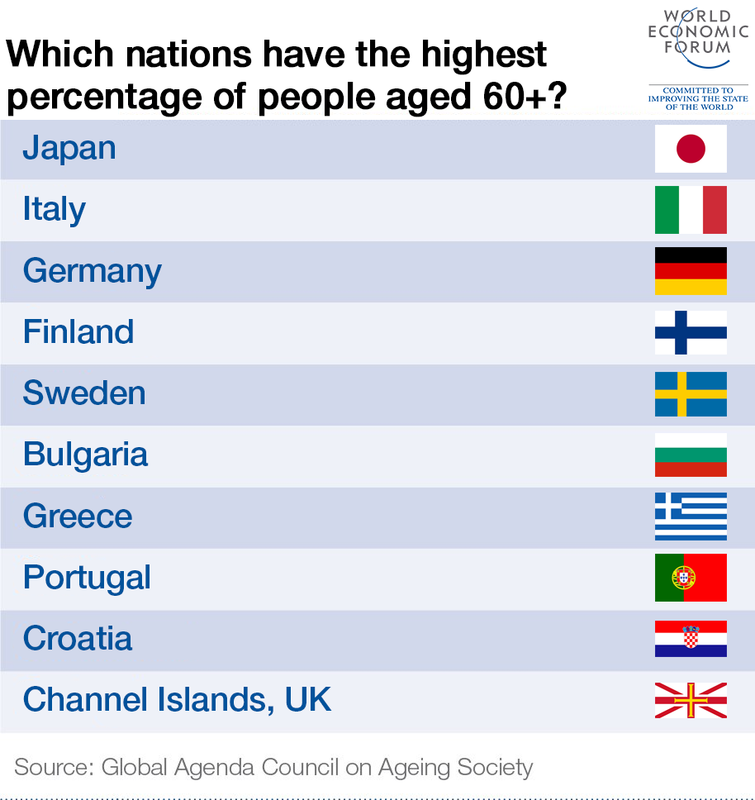 Throughout the industrialized world, governments are rushing to hand out money to the elderly. Germany’s government has not only reversed an increase in the retirement age intended to make pensions more affordable; it has recently announced a 5% increase in benefits, the largest such rise since 1993 (when, unlike today, Germany was actually experiencing inflation). Poland’s Law and Justice government, in one of its first moves after taking power last year, decreased the pension age and increased payments. At a time when public budgets are strained, this trend may seem counter-intuitive. And, in fact, the United Kingdom’s government has moved in the opposite direction, cutting disability benefits (though a cabinet minister resigned in protest). But the overarching trend toward increased benefits for the elderly has a simple explanation: politics. As populations in Europe and Japan age, the demographic pyramid is rapidly inverting – and a war of generations, rather than of classes, is emerging. The war is fought primarily at the ballot box – old people win elections, while young people stay home – and the spoils lie in the national budget, in the balance among education, pension, health-care, and tax regimes. With this clash, the intergenerational pact that long underpinned social and political stability has been broken. The conservative philosopher Edmund Burke famously saw society as a contract not just among “those who are living,” but also with “those who are dead” and “those who are to be born.” Burke was suspicious of popular politics that would favor the current generation over future cohorts. The father of welfare economics, Arthur Pigou, thought that the state would somehow protect the social contract’s absent partners, but that view was hopelessly idealistic. What motive would the government have to be a trustee for unknown people at the expense of real and present voters? The focus on the present has far-reaching consequences. The impact is particularly severe in a context of labor mobility, where the losers at the ballot box – the young – wield another weapon: their feet. In countries dominated by gerontocratic politics, young people typically try to leave as quickly as possible. And because young people receive extensive subsidies in the form of education, when they leave, they take with them resources that could otherwise have been used to pay for other people’s retirement. Put another way, they leave behind a debt burden that will be much more difficult to reduce without them. This trend is fueled by inadequate economic opportunities at home. In the mid-twentieth century, rapid economic growth implied that each generation would have a better future than the last. Today, by contrast, widespread malaise and forecasts of secular stagnation make promises about a better future appear fraudulent. In many countries – particularly in the Mediterranean, but also elsewhere in Europe, as well as in North Africa – youth unemployment has reached record levels, owing to a combination of problematic macroeconomic policies and bad labor-market policies. With the young seemingly bound to leave, spending on education increasingly appears to be a waste. As education diminishes, the amount of investment in human capital that the migrants take with them declines – but so does the amount of human capital that stays behind. A better approach would be to reverse the exodus of the young through better policies, as Ireland did in the late twentieth century, with rapid economic growth leading many of the skilled workers who had left in the 1980s to return – and spur even faster growth. In order for such a reversal to take place, however, young people’s countries of origin must become more open and more innovative – no small feat, especially when the elderly are in political control. In short, there are many feedback loops that make the gerontocracy self-reinforcing. The damage wrought by the preference for the old over the young extends beyond national economies. Environmental damage on a global scale provides perhaps the starkest illustration of how today’s middle-aged population is making decisions without regard for the younger generation – and those that will follow. Indeed, global warming, for example, is often viewed as imposing a heavy burden on future generations. While the scale of this burden has not been unambiguously calculated, it is clear that it could be reduced substantially by investing relatively small amounts today on a global basis. Yet countries continue to fail to make such investments. By the time the needed adjustments are implemented, they will be the next generation’s problem – and they will cost much more. In this sense, current generations are imposing a kind of tax on their successors, who are already being starved of life opportunities. Some commentators describe the burden in even more brutal terms, saying that the current generation is essentially colonizing the future, as they, like many European colonizers in the past, strip the world of its riches and leave a wasteland for those they colonized. It might be said that it is hopelessly naive to expect altruism of the present generation. And, indeed, in today’s self-centered culture, it is difficult to expect people to put the interests of future generations first. For now, the safety valve provided by labor mobility may rule out a youth revolt against the selfishness and complacency of the elderly. The question is what will happen when opportunities abroad are no better than those at home.